+ Sand Dunes, Lighthouses, & "Seal Rock"
Day Trip Summary: What to See and do in route to, and in the Reedsport, Coos Bay, & Bandon, Oregon Coastal areas on a Day Trip Drive from Florence, Oregon South on Coastal Hwy 101 to the Rockport, Coos Bay, and Bandon, Oregon Areas. 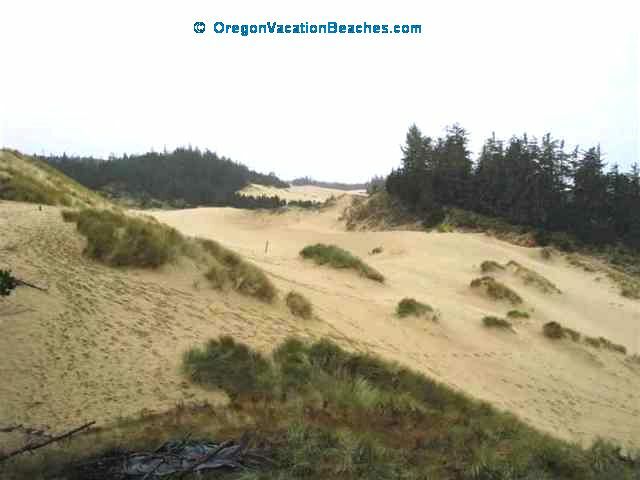 Check out Oregon Sand Dunes National Recreation area on way. See Umpqua River Lighthouse near Rockport and wide sandy Oregon vacation beaches. 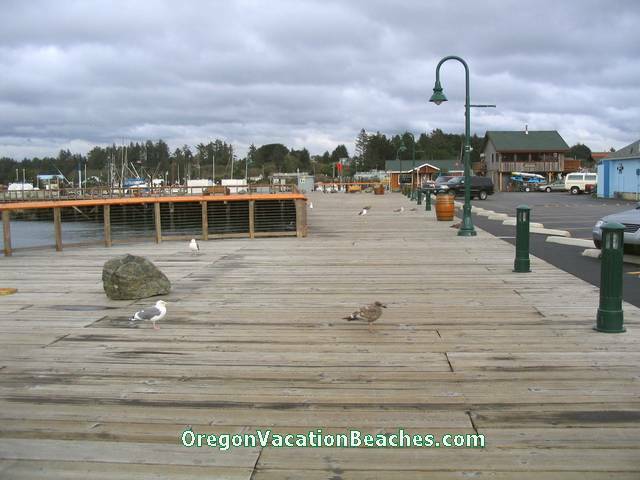 Do a peaceful walk on the Boardwalk next to the harbor in Coos Bay. See the unusual Coquille River Lighthouse near Bandon. 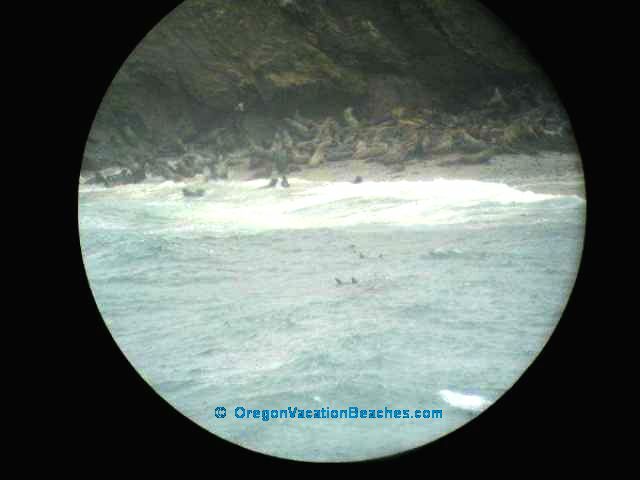 See and hear the Seals at Seal Rock Marine Mammal view point of Simpson Reef just south of Cape Arago State park. 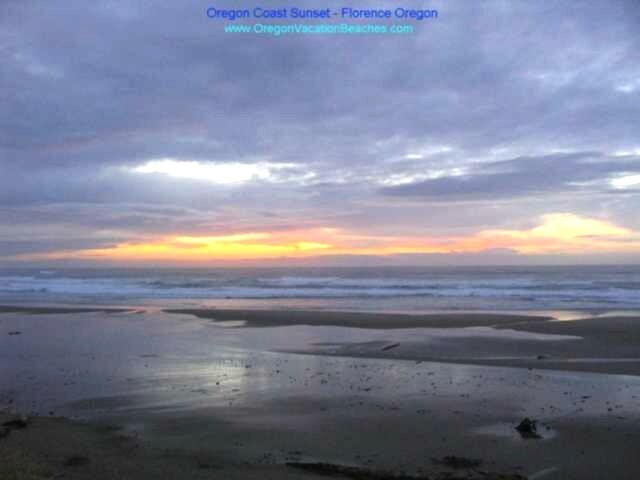 See a colorful Pacific Ocean Sunset at the end of the day back at Florence, OR. This scenic day trip drive with several interesting stops approximately 73 miles down the 101 Coastal Highway to Coos Bay Oregon and nearby attractions is a "Must See" for any Vacation to the central Oregon coast. This Oregon Getaway Vacation my Wife and I took in the Fall of 2004 was one of the best US beach vacations we have ever taken. We would highly recommend the Scenic Drives in the Central Oregon Coast area up and down the coast on the largely oceanfront Coastal 101 Highway from Florence, Oregon south through the sand dunes area to Coos Bay and Bandon, as well as the beautiful scenic drive north to Newport and Lincoln City, OR and the Historic Lighthouses along that peaceful coastal drive. south almost 40 miles to Coos Bay. Oregon Dunes National Recreation Area at State Parks Web Site. Back side of tall sand dune above looking east toward parking lot - dunes area is over a mile deep here. Got showered on at this stop. Note more Oregon coast sand dunes + fog to east. More big beach front Sand Dunes as we drove further south on Oregon Coast Hwy 101 from Florence toward Coos Bay. Dune Buggy rentals are available. -- Located near the Hwy 101 mile marker # 201 in Reedsport, Oregon. 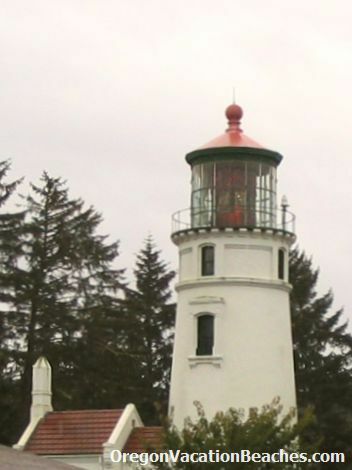 - Free Time Share Vacations - - Getaways with a Tour "price"
Umpqua River Lighthouse - southwest of Reedsport, Oregon. Constructed in 1894. Light with first order Fresnel lens can be seen as far as 20 miles out at sea. Short Coquille River Lighthouse near Bandon, Oregon - Unusual Octagon shape. Light was first lit in 1896. A new solar powered light was installed in the tower in 1991. Great Oregon coast Sunsets back at Heceta Beach near Florence Oregon. Please send us any good Oregon vacation beaches points and Oregon Coos Bay Attractions which you have discovered that are not mentioned here. Or send us your Comments on our Gene Seecann Sites Comment Form page. Thanks for checking us out! 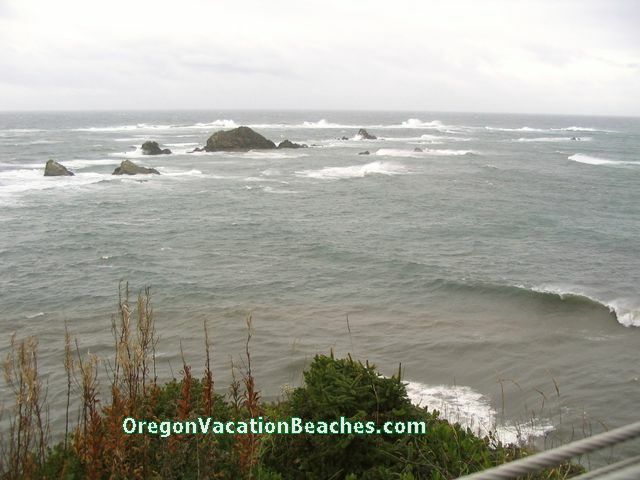 Why Oregon Vacation Beaches? 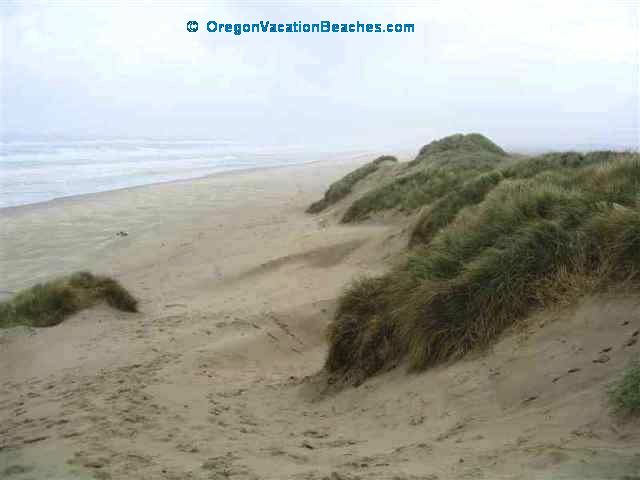 - Coastal Oregon Vacation Beaches including Florence area Day Trip List with Tips and driving times from Florence Central Oregon Coast location + summary of Newport Oregon Beaches day trip. Read candid user reviews and see 14 Newport Oregon Beaches Rental Resorts and Hotels ranked by popularity with comparison pricing at this link: Find the best deal, compare prices and read what other travelers have to say at TripAdvisor for Newport Oregon Rentals, Hotels & Time Share Condos. Ocean front and non ocean front listings. Click on the Green "B & B/Inns" link on above page for User Ratings and comparison prices of 6 Newport area Bed and Breakfast's & Inns. North up scenic Coastal Hwy 101 to Newport Oregon Beaches & Attractions area - Yaquina Bay and Yaquina Head Lighthouses (+Attraction pictures, times, and tips are on Day trip page.) Consider Aquarium visit. Lunch at Georgie's Beachside Grill in Newport - great views of coastal Oregon vacation beaches. Check out Cape Perpetua Scenic area and great picture Views of central Oregon Coast and Pacific Ocean south of Yachats on way back - maybe spot a whale. Do a guided nature walk there. 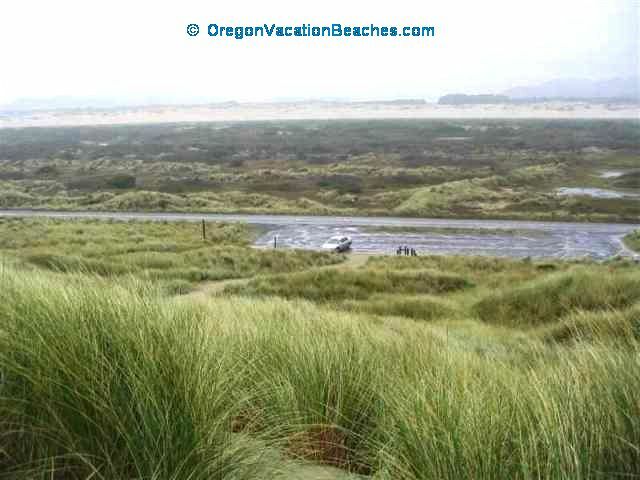 South on Oregon Coastal Hwy 101 to Coos Bay Area - check out Oregon Sand Dunes National Recreation area on way. 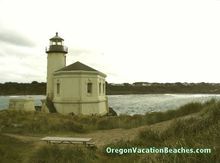 See Umpqua River and Coquille River Lighthouses + sandy Oregon vacation beaches + Reedsport, Bandon, and Coos Bay Attractions. See and hear Seals at Marine Mammal view point Seal Rock Viewing area at Simpson Reef near Cape Arago State park. Day Trip East fom Florence through Eugene on Hwy 126 and then up over McKenzie Pass scenic route and old Volcanic area on way inland to Sisters Oregon and a well known Quilt Shop my Wife wanted to check out. Pick a clear day so can see great views of several mountain ranges from View Point at top of McKenzie Pass Trail. Return via Hwy 20 & 228 to check out two Oregon Covered Bridges. Looking for Something Specific? Search two of our Sites.